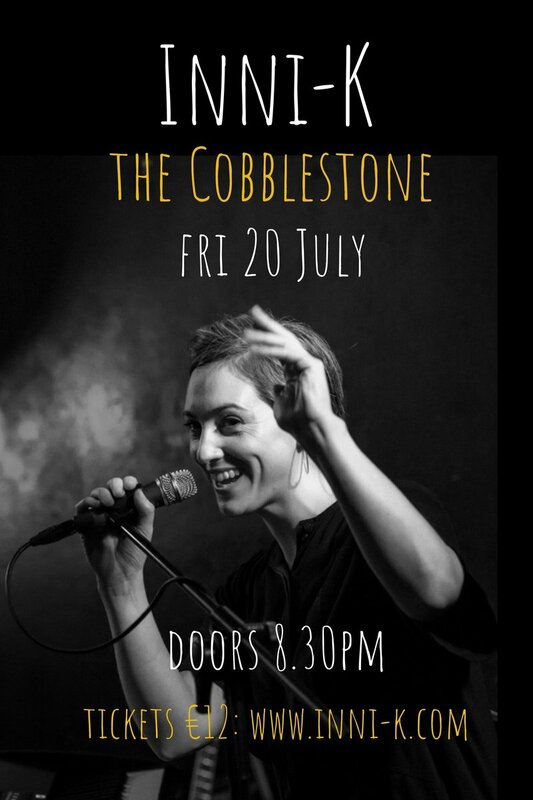 Inni-K, now a well established presence in Irish music, has received consistent praise for her distinct, fresh style of indie-folk since the release of her acclaimed debut album The King has Two Horse’s Ears’ in 2015 & most recently her new single ‘Edges’ released earlier this year. Inni-K’s mesmerizing vocals set off with tight musicianship and arresting stage craft create a musical experience, rich with spine-tingling tenderness. Inni-K’s journey to date has been a wild and enjoyable one; she has featured on Other Voices, was requested by world renowned Malian kora master Toumani Diabaté to perform with him at Cork Opera House as well as sharing stages with Efterklang, Wallis Bird, Liam Ó Maonlaí, Glen Hansard, Jeff Ballard (drummer with Ray Charles) & Tiny Ruins, among many others. She has toured extensively as a solo artist; with band Ré, and also as part of a contemporary dance theatre company. Joined by drummer & percussionist Brian Walsh & double bassist Cormac O Brien, Inni-K is a force to watch. Set for a summer of Irish festivals, Inni-K will play Body & Soul, Another Love Story, and Arcadian Fields; with New York, European & Irish dates in the pipeline for later in the year and 2019.